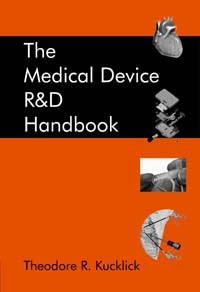 This is a practical how-to book on the design and development of medical devices, and includes exclusive interviews with pioneers and leaders in the medical device industry including Thomas Fogarty, MD, Paul Yock, MD, Dane Miller, J. Casey McGlynn, and more. Order your copy by going to http://www.crcpress.com/ or www.amazon.com and search under keyword "kucklick"
Please visit the book website www.meddevbook.com for current updates and news. Kucklick Design has years of experience in product design and development as well as development of presentation materials from patient education to trade show graphics and magazine advertising illustration. Clients include companies like Advanced Cardiovascular Systems (now Guidant) Target Therapeutics (now Boston Scientific) VidaMed, RITA, Somnus, Curon, AfX, Corgentech, Sleep Solutions, Starion Instruments, EPT, and many others. 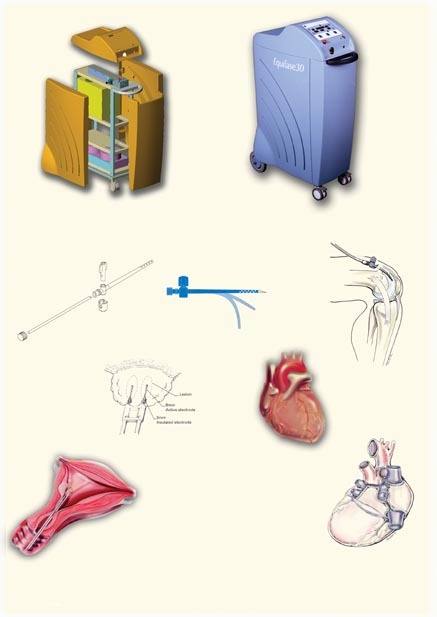 Please review our portfolio of product design projects on the "Product Design" tab, and Medical Illustration on the "Medical Illustration" tab. For an overview of our product development capabilities, please click on the "Development" tab. Of course, please contact us with YOUR product development and design project by going to the "Contact" tab. We look forward to working with you.